After the Mary Halvorson Quintet released its stellar recording last year, Bending Bridges, there were a lot of folks wondering how guitarist extraordinaire Halvorson could top it. I’m not sure if she’s done that here, but she’s certainly taken her compositional ability in even more interesting directions, largely due to a couple recent additions to the group that now have her working with a septet. 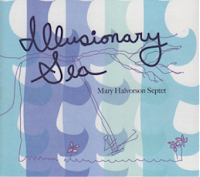 The result expands the palette available to Halvorson, and she takes full advantage of it to produce seven intricate, multi-layered pieces that reward—no, demand—repeated listening, lest one miss out on the subtle touches that are abundant here. The two new players here, Ingrid Laubrock (tenor sax) and Jacob Garchik (trombone) are perfect complements to Halvorson’s regular partners: Jonathan Finlayson (trumpet), Jon Irabagon (alto sax), John Hébert (bass), and Ches Smith (drums). They are terrific soloists, to be sure—but Halvorson is especially smart in weaving them into the rest of the ensemble, allowing additional aspects of her knotty compositions to reveal themselves. This is evident from the first cut, “Illusionary Sea (#33),” which begins with a terrific opening passage from just the horns before the rest of the band comes in to further develop the melodic base of the tune. Then once Garchik begins his solo, the rest of the horns surge and recede underneath, gradually sustaining the momentum with the rhythm section to keep the song going in ever-surprising and interesting directions. 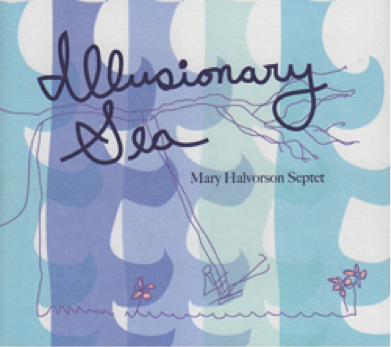 Halvorson’s strong sense of structural integrity is always present; even during a freer section about midway through the song, the sense of forward-moving propulsion is always present, largely thanks to Ches Smith’s solid anchor underneath the rest of the band. It’s one of the strongest cuts on the record, and announces convincingly that Halvorson has hit this one out of the park. Fortunately, the rest of the release is just as compelling. With a judicious balance of more groove-oriented, full-bore pieces like the second track, “Smiles of Great Men (#34),” where Halvorson in particular gets to rock out, and slower, more deliberate and textured tracks like “Red Sky Still Sea (#31),” the record strikes the perfect balance between individual freedom for each musician and the kind of rich, full ensemble voicings that only a larger band can produce. It is remarkable, actually, how much Halvorson is able to get out of these musicians; at times this sounds like a much larger band. I should also add a word about the recording quality: it’s outstanding. This music should be heard on a nice stereo or a good set of headphones. Each musician is captured brilliantly and distinctly, and for listening to a band this tight, this good, doing it justice really requires hearing what everyone’s doing—and in this case, it’s all captured wonderfully. Halvorson has been on a roll lately, and she shows no signs of letting up. This is another fine addition to her impressive (and rapidly-growing!) catalog. For anyone putting together a short list of improvising artists producing music that is at the same time complex, challenging, and remarkably accessible as well, Halvorson should be on it. the whole team is great as expected but her compositions keep getting better and better!